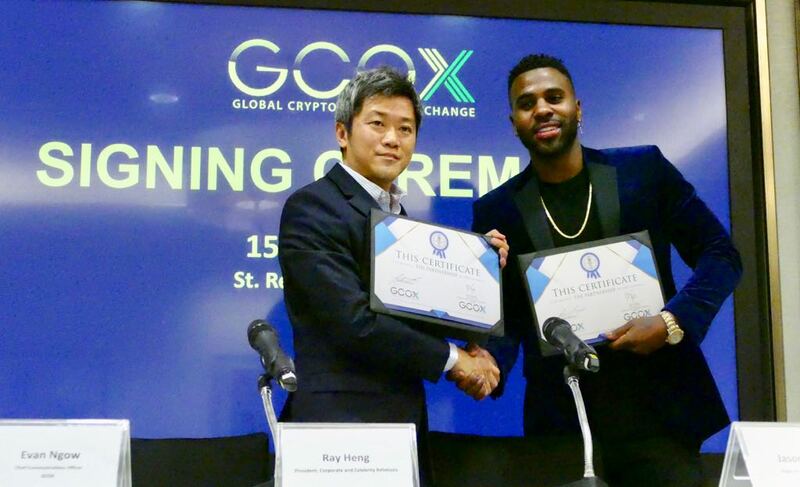 Global Crypto Offering Exchange (GCOX) on Sunday announced the signing of the American singer and songwriter Jason Derulo, the latest luminary to join a growing list of international superstars at GCOX. 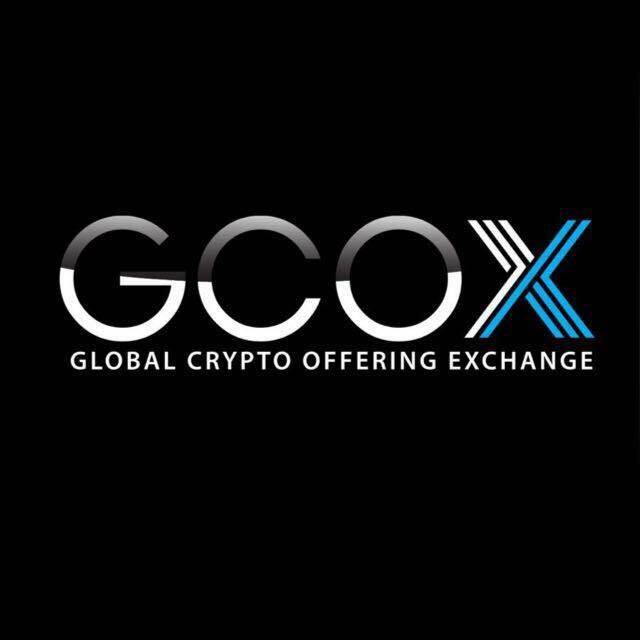 GCOX is a global platform that allows celebrities to create and list their own Celebrity Tokens. 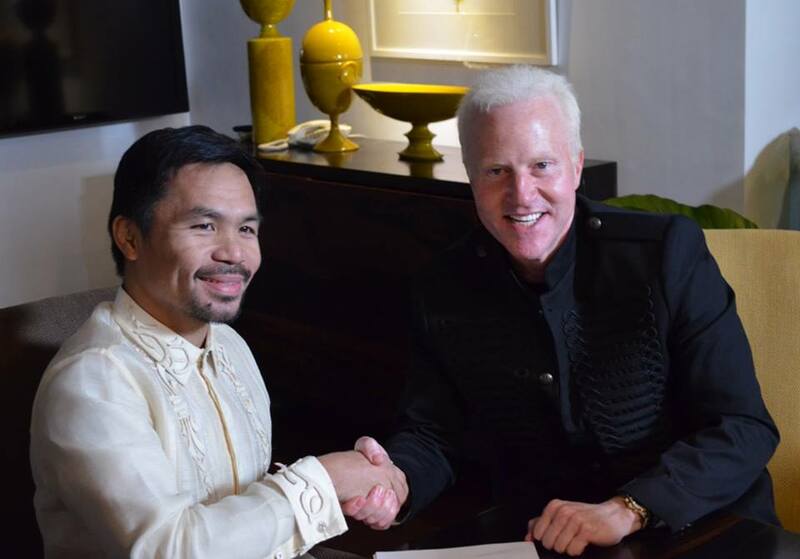 Derulo will be in esteemed company, joining illustrious sporting names such as former Liverpool and Real Madrid football legend Michael Owen and Filipino boxer and senator Manny Pacquiao on GCOX’s roster. 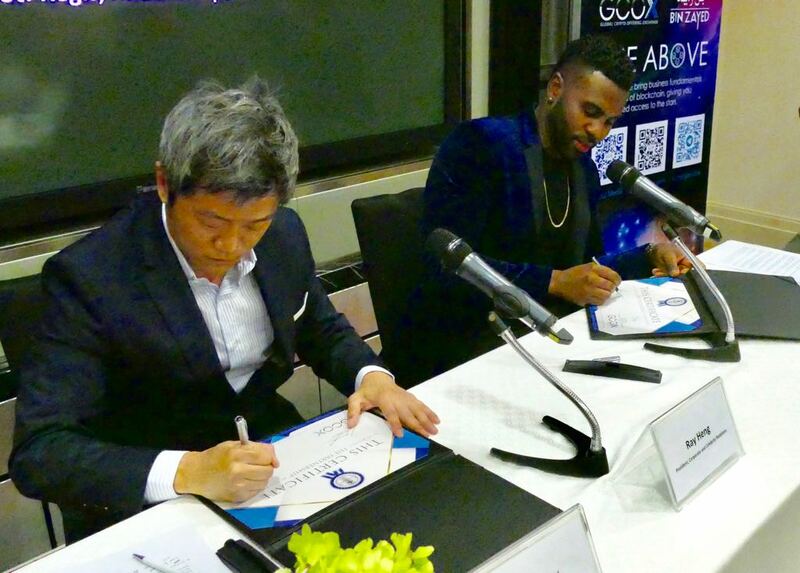 (Left) GCOX’s President of Corporate and Celebrity Relations, Ray Heng, puts pen to paper alongside GCOX’s latest celebrity, American superstar singer Jason Derulo (right). 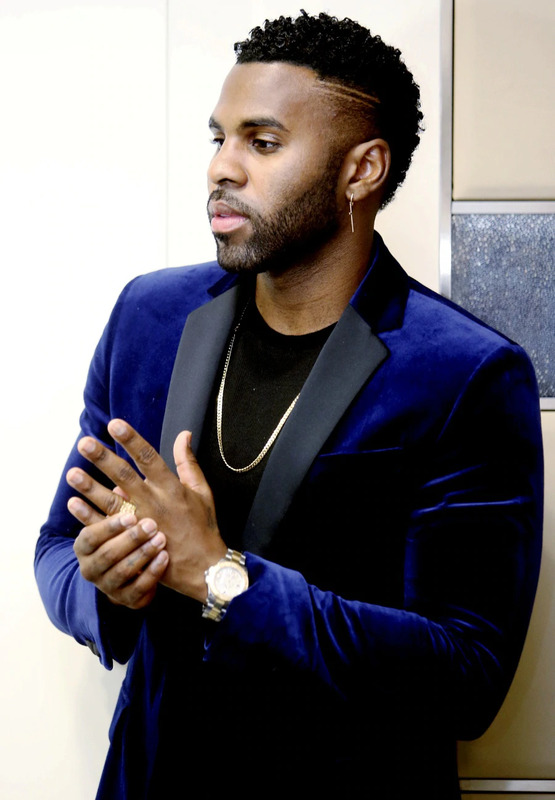 (Left) GCOX’s Ray Heng posing for the cameras with Jason Derulo (right), at the signing ceremony between GCOX and Derulo on 15 July 2018. 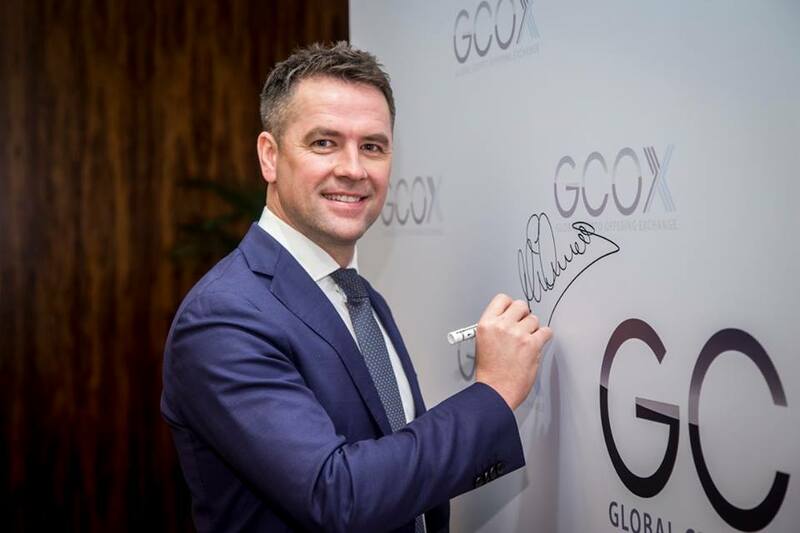 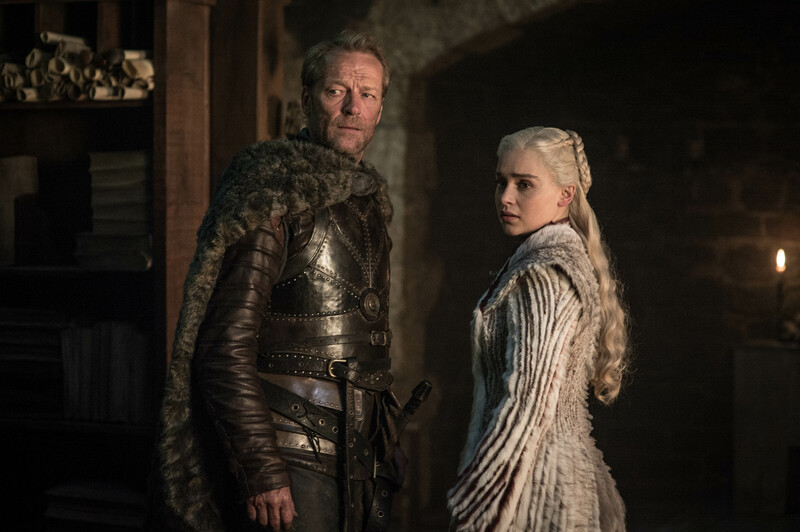 GCOX aims to be the first platform of its kind where celebrities can leverage on blockchain technology to revolutionise and redefine popularity. 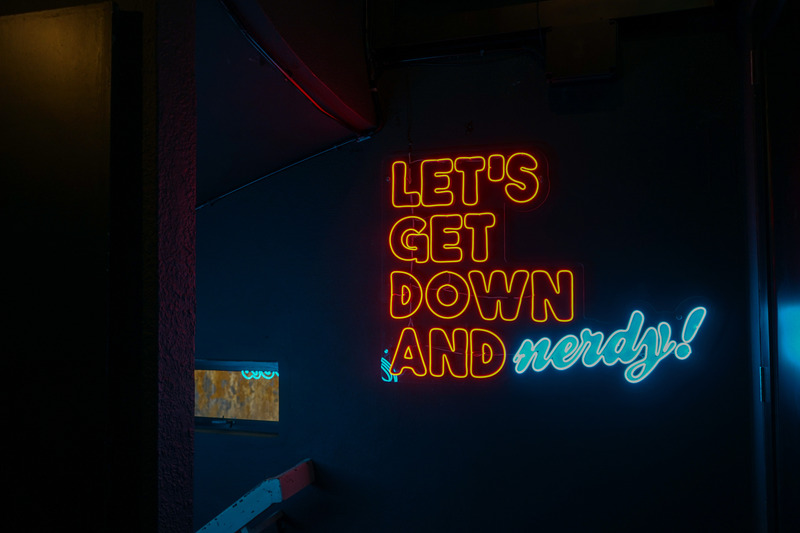 It facilitates the creation, listing and trading of celebrities’ personal crypto tokens on its purpose-built blockchain called Acclaim.